The Huffington Post ranked Kansas City as the most exciting, "it" city in the United States. The food, Midwestern hospitality and music were all highlighted as reasons to visit the metro area. "Get to the Green Lady Lounge for some jazz, eat awesome BBQ at Q39, and don't forget to check out the historic City Market," Huffington Post Associate Lifestyle Editor Carly Ledbetter wrote. "The food is amazing, nearly everything is affordable, and the people are nice." The list doesn't specify whether it is considering Kansas City, Mo., or Kansas City, Kan., to be the top city in America, but all the attractions listed were on the Missouri side. The other cities on the list are Richmond, Va., Charlotte, N.C., San Diego, Calif., and Minneapolis, Minn. The methodology for the list was, "much map-scouring and a sprinkle of savvy." News site The Daily Beast released an extensive review of United States high schools, and two of Kansas City's were ranked as "Doing the Most With the Least." Out of 25 schools, Sumner Academy of Arts and Science in Kansas City, Kan., and Lincoln College Preparatory Academy in Kansas City, Mo., ranked 17th and 18th, respectively. Though the snow may be melting away in Kansas City, the burning issues aren't going anywhere. 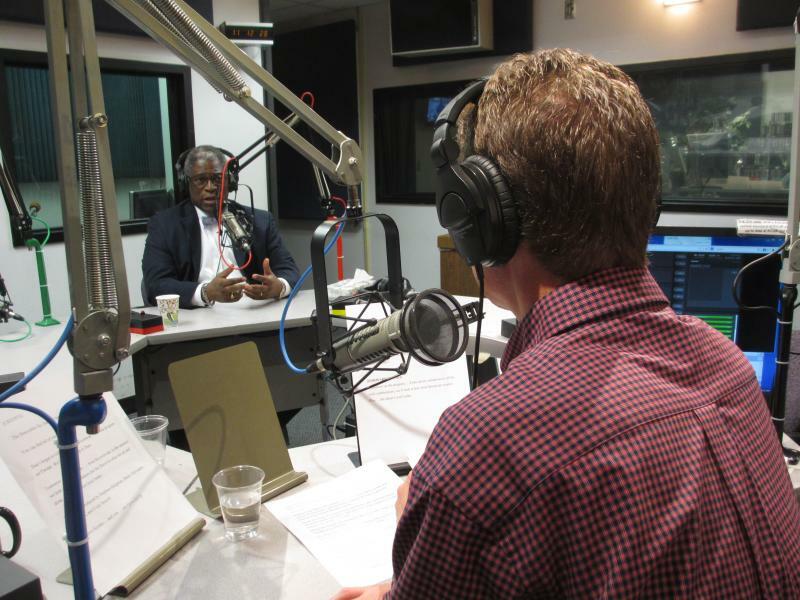 On Thursday's Up to Date, Mayor Sly James takes our questions, and yours, about the troubled school district, the proposed KCI expansion project, and more. Sly James is mayor of Kansas City, Mo.